Wednesday’s broad based rally formed “morningstar” patterns on a large number of daily charts. The morningstar is a three-day formation that consists of a large down-day candle, followed by a narrow opening and closing range “doji” candle, and completed by a large up-day candle. It is considered a reversal pattern and represents a transition in trader sentiment from bearishness-to-bullishness. It is often seen at important bottoms in price. A morningstar formed on the Amazon (AMZN) chart in Wednesday’s session. But, so far in trading today there has been little in the way of bullish follow-through. 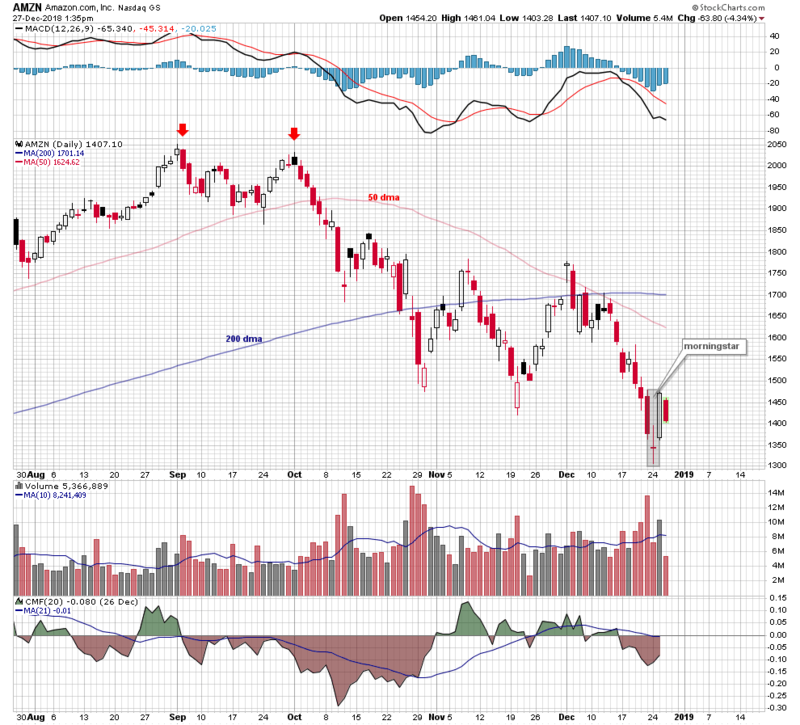 This gap down and lower price action is forming a bearish harami on the Amazon chart and, no doubt, many other charts. 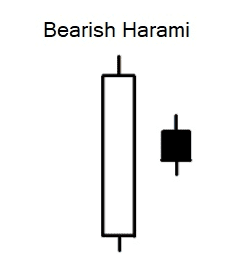 The bearish harami is a dark body candle that is engulfed by or sits within the opening and closing range of a previous large white body candle. It can be a sign of a shift in the trend but more often precedes smaller fluctuations in price. In the case of the current harami on the Amazon chart it is most likely a sign of temporary price uncertainty. Monday’s drop and Wednesday’s pop, leave a lot for the stock and the broader market to absorb. At today’s intraday low the Amazon harami candle was solid black and that was particularly bearish. 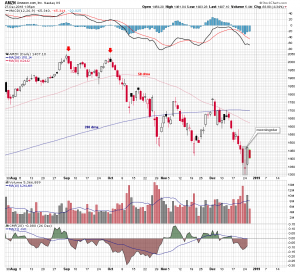 As the session draws to a close the market is bouncing back a bit and more of a hammer candle is forming on the daily chart. A hammer is bullish. In any case, the bottom end or the “doji” low of the morningstar would have to be taken out to invalidate the bullish reversal pattern. While a daily close back above the $1475 top of the morningstar on the Amazon chart would be bullish reversal confirmation. Action in Amazon appears representative of a number of stocks in the broader market, and as such could be a good indicator of broader market action over the short term.